Welcome to Central Child Development Center. 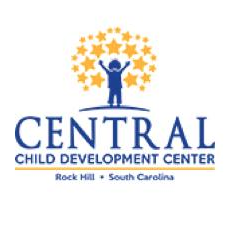 4-K classes in the Rock Hill Schools are provided at Central, the Applied Technology Center, and the Family Resource Center. Classrooms for preschoolers with special needs are provided at Central and Edgewood Center. 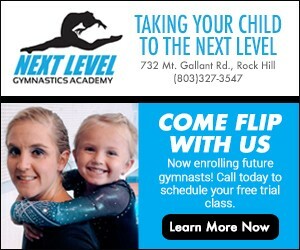 All classes meet for a half-day and are staffed by a certified lead teacher and an assistant teacher. Our curriculum is based primarily on the South Carolina Preschool Math Curriculum Standards, the Rock Hill School District's Literacy Guide, Common Core Standards, South Carolina's Good Start, Grow Smart Standards, and the Ready for Kindergarten Skills Continuum from the book, Extraordinary Parents. Our educational approach focuses on active learning practices which encourage play, exploration, choices, problem solving, and inquiry. The children engage in key experiences ' creative interactions with people, materials, and ideas that promote their intellectual, emotional, social, and physical growth. The daily routine incorporates learning centers, small group/large group activities, the creative arts, movement, and outside play. The teacher's role is to support and guide the children through their hands-on learning experiences. It is a readiness program designed to prepare all children for kindergarten.